This project was a fun one! Our customer, Andrew, bought a new house and needed some remodeling work done. On his list was replacing his garage door and widening the opening so he could fit his RV in his garage. While he could park it in a storage facility nearby, that costs money and isn’t always convenient when you want to pack up and go quickly. He was not able to park it on the street or in his driveway. 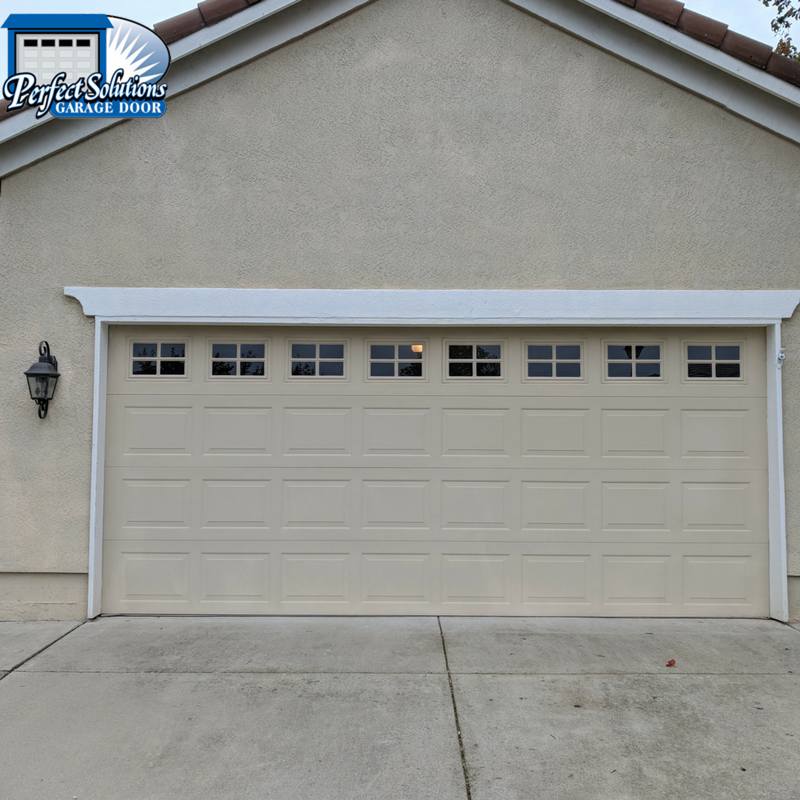 Andrew was willing to pay for his garage to be upgraded over rent at a storage facility. His RV isn’t huge, so all he needed to fit it in his garage was a larger, taller opening in order to make it fit. So, we removed his existing garage door first. Then we were able to reframe the opening. His garage had been 16×7. After reframing the opening, the new measurements are 16×12! Once the opening was reframed, we fixed the stucco around the garage, and installed a new sectional garage door. We used a LiftMaster Jack Shaft garage door opener with the new garage door. The jack shaft opener is installed on the side wall of a garage, not on the ceiling. This is a great option when you want to park something tall, like an RV, in your garage. It gives maximum clearance for the RV or whatever object you are parking inside. The new door looks great! 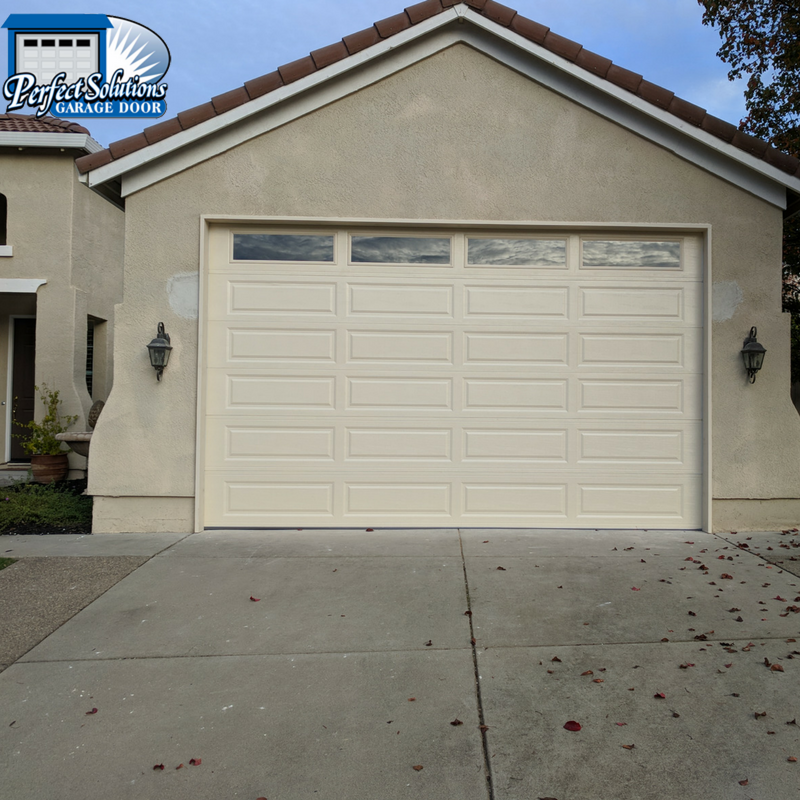 Now the last job is panting the door and surrounding stucco so it looks seamless, and reinstalling those lights so they are in a more logical and visually appealing place! Andrew is very happy he has a beautiful new garage door, new garage door opener, and space for his RV in his own home! He is enjoying loading it up on a Friday afternoon and heading out early Saturday morning on an adventure! 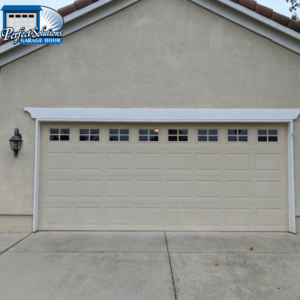 This entry was posted in Blog, Garage Door Repair. Bookmark the permalink.